'Let us not apologize for being the nation which turned out to be the best at colonization.' Seventeen words near the end of an obscure book by an even more obscure publisher. Yet it’s practically a manifesto, the un-coded response to the decline of Western hegemony by a sector of the public in Britain and in its former colonies. How broad a sector, it’s hard to say, and would be instructive to properly investigate. But in the meantime we can savour that phrase. Let us not apologise. Indeed not. For being the best at. Who would apologise for being very good at something? Colonization. Oh. Duncan Balmer’s The Whole Earth Is the Tomb of English People predates Niall Ferguson's Empire: How Britain Made the Modern World by two years. They weren’t idle years, either, for the rehabilitation of our supposedly shared colonial past has taken rather different tones this side of 9/11. It is possibly interesting too that by the time the two books were published their respective authors had left Britain. Ferguson, to take up a post at New York University. Balmer, to work as an investment advisor in Auckland. It is therefore unsurprising that both books should be concerned as much with historical Britain as with its idealised double, a nation of the mind, which in Balmer’s case takes in fact the proper name of England in order for the roots of British exceptionalism to be dug deeper, extending the colonial (and patriarchal) logic to the home country itself. For Balmer is especially careful to inform us that the grievances of the Scottish, Welsh and most importantly Irish people are morally and historically baseless, and so apparently is their claim to belong to the British nation and share in its achievements. It is all for England and about England, precisely because the core nation is defined by the absence of such grievances and of otherness more generally. It is history with the occasional blemish but without negation. So powerful was the idea of liberty, Ferguson and Balmer agree, that no matter how despotic the empire became, ‘there was almost always a liberal critique of that behaviour from within British society’ (Empire, ibid. ), and that commitment to liberty gave the British Empire it’s peculiar ‘self-liquidating feature’ – this is Ferguson again – which made it difficult for the rulers, once a colony had become British enough to aspire to political independence, to find sufficient justification to deny that aspiration. To the extent that Balmer’s book is more interesting than Ferguson’s, it is in that it is more naïve, less guarded, and frankly more of a mess. You won’t find a single coherent argument in The Whole Earth, but you will find the naked unravelling of the thought patterns of the apologists, as if under a compulsion. The book that doesn’t want to be about Empire, just be allowed to indulge in jingoistic pride, must nonetheless grapple with the ghosts of history and in so doing expose its bankrupt logic. You’ve all got English blood in your veins; be proud of it. There is an obvious contradiction between the essentialist appeal to an ancestral bloodline and the celebration of England’s pride on the grounds of its superior ideas, as there is more fundamentally between the desire to own past achievements and the injunction to forgive and forget past wrongdoings. ‘It is surely anachronistic to still be harping on about all the alleged crimes of the English after all these years, (128)’ bleats Balmer on the subject of Irish history, without seeming equally inclined to let us forget just who it is who came up with all the good stuff. But it would be wishful to suppose that England’s greatness could be affirmed without pointing out the shortcomings of the peoples that came under its rule. It’s like when Paul Holmes told Hone Harawira that colonisation hadn’t been so bad, I mean, now we have refrigerators in which to keep all the crayfish, don’t we (the wry smile that Harawira mustered in response is beyond my descriptive powers. You’ll find it at around 8 minutes 30 seconds of this video), which hinted simultaneously at the wretched backwardness of the native and the modernising benevolence of the conqueror, nor it could in that context have done one without the other. So too Balmer feels the need to account for the primitive political institutions and the turmoil of the nations that Britain came to colonise, most notably perhaps in the case of India, for which he blames ‘the debilitating mutual hatreds and jealousies of separate Indian states’ (136) for forcing the hand of the otherwise reluctant British State, later noting that the eventual post-colonial country was made viable by the institutions left by the departed power, and was never run so well as then the people who introduced those institutions were in charge. Of the same tenor is the observation that Australian aborigines and the New Zealand Māori would have carried on their merry stone age way had the British not taken it upon themselves to civilise them. However Balmer is not content to suggest that Britain improved the lot of the countries it subjugated. He must also – again, like Ferguson – advance the view that it produced the most benign of all empires, and furthermore that there was no historical alternative to colonialism. If at any time in the last five hundred years you happened to sit on some natural resources and not be terribly advanced from a military-technological standpoint, Britain was simply the best thing that could (and, sooner or later, would) happen to you. Or, if you prefer: the past is a foreign country, and we had to invade it. It is at this point that Balmer drops the line with which I started this post, and inside of which so many post-colonial attitudes are roughly crammed. However it is quite conceivable that even if Balmer were more honest and thorough in his assessment of any of the suffering caused by British imperialism – say, if he didn’t completely neglect to mention the Bengal famine of 1770, or if he didn’t shift entirely onto the Irish and Anglo-Irish landlords the blame for the disastrous handling of the Great Irish Famine – he would come to the same exculpating conclusion: that England’s dominion over so many nations was the only historically available expression of its cultural primacy, and that its net effect over those nations was a positive one, both in that it spared them from greater suffering at the hand of worse masters, and in that it accelerated their trajectory towards an enlightened modernity that values liberty and has no need for empires. Thus the value and full appreciation of the independence of the colonised is supplied by the coloniser, who only asks in return to be able to live, roam and work in the peaceful, globalised world he (sic) has created. And while we are on the subject of Scotland, Wales and Ireland, the English not be ashamed of their history vis-à-vis these peoples either. Whatever the true facts surrounding England’s alleged heinous crimes and injustices, that was the nature of the times in which our ancestors lived: life was “nasty, brutish and short”, and the Scots, Welsh and Irish would most assuredly have done the same things to us (and occasionally did) if we had not done them better and more often to them. 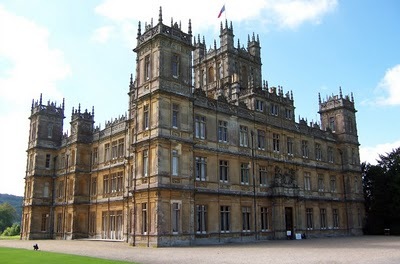 Downton Abbey: now with 20% more lintels. Crude, retrograde fantasies of past Western grandeur: is it really a wonder that they are so popular at the present time? Is it surprising that there is so much comfort to be found for so many in retreating to a past that has excellent production values, if not always a decent or believable plotline? 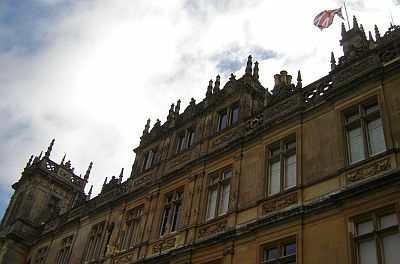 Thus Downton Abbey finds value in the aristocracy in spite of everything, always teasing the viewer that a critique of its archaic social order and values may be just around the corner – the socialist chauffeur will do something, any minute now – only to revert every single time to its reactionary, paternalistic reflexes. Like when the scheming, promiscuous visiting maid counsels Daisy, the young cook's apprentice, to demand that her pay be increased by being confrontational and threatening to seek other employment, instead of politely petitioning her present superiors; or in any of the plots that involve Thomas, the evil gay valet – who as of series 2 is either evil or gay, but no longer both at the same time – and his disorderly ambitions, his desire to go off script and be something or somebody else. The expository nature of these fantasies suggests that they wish to educate as much as to entertain. How else to explain the single most redundant detail of The Whole Earth, namely the appendix with dates and names of the Kings and Queens of England? A list one could find anywhere, but that signals in this context a precise pedagogical end, or rather a longing – later famously shared by the serving Tory State Secretary for Education – for the school system that insisted you should memorise those dates and names, because they meant something, and that you should be proud of that knowledge and those meanings, proud of the symbols of past glory. But most importantly, that you should never, ever feel the need to apologise. Duncan Balmer. 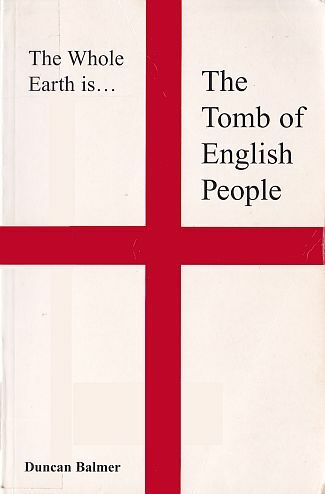 The Whole Earth Is the Tomb of English People. Auckland: Third Opinion Publishing, 2000. Niall Ferguson. Empire: How Britain Made the Modern World. London: Allen Lane, 2002. I stopped short of linking Balmer's book that Paul Holmes' recent outburst on the Waitangi Day protests, largely because it has been covered extensively and better than I could have. I'll refer you therefore to Diane Revoluta's response and Scott Hamilton's outstanding summation following Hone Harawira's counter op-ed in the Herald. Bloggers doing what they do best. It is by reading Edgar Allan Poe that I learned to be afraid of fictions. I had been afraid as a child, of course, of monsters in the wardrobe and other things that did not exist, as well as some that did, but not of fiction as fiction, not of make believe. Not of things that I knew not to be true; whose very definition was that they were not true. I encountered Poe whilst coming out of childhood, just as I was forming that theoretical awareness, the sense of what it means – as narratologists would say – to be a conscious appreciator as opposed to a bamboozled participant in the game of fiction. We all learn to distance ourselves, to varying degrees, and especially from written fictions, which require far greater feats of self-suggestion to be sustained: I need, again, to imagine the monster, and yet somehow also forget that it was I who did the imagining, so that I can be afraid. Moreover, it is I who drive the fiction forward. If I was genuinely fearful, as opposed to titillated, I would surely stop reading or set the book aside until I regained my nerve. But one should guard against being too literal. 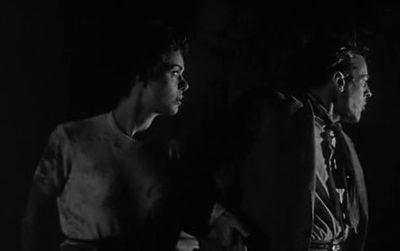 Fear of the monster is not the only kind of fear there is, and even as children we sometimes populate the dark with objects of morbid fascination that draw us at the same time as they repel us. That fascination was a hallmark of the gothic genre, if you could call it a genre, but in Poe especially it came wrapped in hyper-literate speculations that might at first seem designed to deconstruct the fiction, never letting you forget that you moved for a time within a literary world. This side of the book, you would be safe. But that was Poe’s trick, to draw you in with the intellectual conjecture, the ornate description, the learned quotation, to convince you that you would fully and comfortably occupy the role of appreciator, then slowly build around you a screen of darkness onto which to project your (budding, in my case) adult fears. 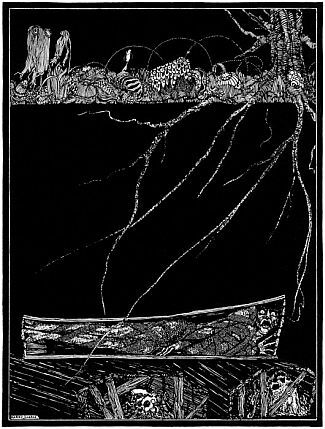 ‘The Premature Burial’ is at once the most crude and the most subtle of Poe’s stories. Crude, in that it spells out from the outset, from the very title, what it is that you should be afraid of. Today, ladies and gentlemen, we shall be talking about the fear of being buried alive. Subtle, and disorienting, for how it plays with that expectation, and for its sublimely ironic frame. This is how the story begins, with a coup de theatre, with the notorious horror writer Edgar Allan Poe – for we have no reason at this point to distinguish the author from the narrator – telling us that we shouldn’t make up horrible stories, and then proceeding in journalistic fashion (fitting the original publication in The Philadelphia Dollar Newspaper) to report on a series of recent cases, both tragic and with an unlikely happy ending, of people who had been buried alive. Some of these cases are plausible, and might have chimed with the recollection of similar ones amongst Poe’s contemporaries, for this was a popular topic in the press at the time. At any rate the partly factual or quasi-factual introduction is a device common in Poe and later perfected by Borges, but it is combined here with the claim that to state anything but the fact of such cases would be abhorrent. At this point in time – 1844 – Poe had in fact published two fictional stories featuring premature burials (‘Berenice’ and ‘The Fall of the House of Usher’), or three if one counts the borderline ‘The Tell-Tale Heart’, and might possibly have already been working on another (‘The Cask of Amontillado’). There are moments when, even to the sober eye of Reason, the world of our sad Humanity may assume the semblance of a Hell–but the imagination of man is no Carathis, to explore with impunity its every cavern. Alas! the grim legion of sepulchral terrors cannot be regarded as altogether fanciful–but, like the Demons in whose company Afrasiab made his voyage down the Oxus, they must sleep, or they will devour us–they must be suffered to slumber, or we perish. Let’s leave aside the fact that I would give three of my toes to be able to write like that. What are we to make of this? Is this really the moral of the story, that a life lived in fear is no life at all, that we must learn to suffer our demons to slumber? One can imagine that the narrator, restored to mental and physical health and bolstered by a new-found optimism, would go on to live a long life, while the author died an alcoholic five years after the publication of the story, aged 40. So perhaps Poe allowed themselves a wishful moment, and wrote himself an alter ego who might defy expectation and choose life. However I doubt it. The irony cuts deeper, and the horror that the story articulates is not the fear of an untimely death – it’s the fear of not dying. A series of notorious cases of premature burial led in the half century before Poe’s birth to the invention of the brilliantly named ‘safety coffin’, a contraption that would allow a non-corpse upon waking to either exit the premises directly, or attract the attention of graveyard attendants or mourners via a strategically placed and easy to operate bell, whilst allowing for the flow of air inside the tomb. 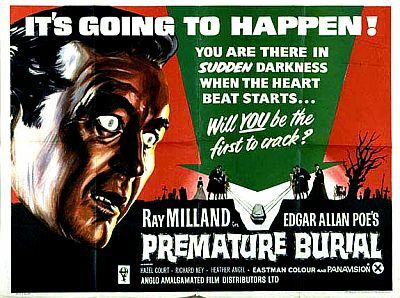 In Roger Corman’s very loose 1962 adaptation of ‘The Premature Burial’, the protagonist, memorably played by Ray Milland – an actor so wooden that he could easily pass for dead whilst speaking his lines – fashioned a true safety crypt: with a coffin that would spring open upon the slightest movement, and plenty of room, a well-stocked pantry and an equally well-stocked library, rather begging the question – seeing as the man is an aristocrat residing in an isolated country estate – of how a long sojourn in such a place would differ from his normal life, or indeed why he might even want to leave the crypt, except to procure fresh supplies. This idea of death as a luxury holiday of indefinite duration may have echoes in the fabulously furnished tombs of ancient autocrats and oligarchs, or the Etruscan necropoles – subterranean cities of the dead onto which the ordinary life going on above ground was mapped – but it has little in common with Poe’s story. 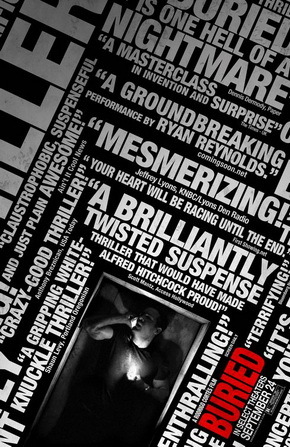 Somewhat closer to the mark is Rodrigo Cortès' Buried (2010), but only so long as we amend its premise, and recognise that as soon as he wakes up inside the coffin where he was placed by his abductors, the character played by Ryan Reynolds is already dead. He’s a dead man with temporary use of a cellphone, and therein lies the horror: not just having to deal with an inhuman bureaucracy from inside his own grave – although the exit interview with Reynolds’ employer, played by Stephen Tobolowsky, is bone-chilling and worth the entire film – but also with answering machines and call waiting and call forwarding facilities. Finally, to have a voice at all, and no-one to speak to. The utter loneliness of it. I think that’s what I gleaned above all else from Poe’s fiction in my early teenage years, the depth of what it might mean to be a misfit, unfit, surplus to requirement, alone, never learning to silence one’s demons and live ‘a man’s life’, and then on top of that carrying on far too long, waiting in vain for the house, your world, to fall around you (‘Usher’ was the one with the happy ending). All this was real. Until in my second year of intermediate school I made another encounter, this time with Primo Levi, and with the chronicles of horrors that Poe hadn’t ventured to imagine, save for when he wrote that 'the world of our sad Humanity may assume the semblance of a Hell'. But those events really were too horrible for the purpose of legitimate fiction, and so Poe’s stories reverted to literature. They became a place of comfort, albeit angular and strange. I visit it still. In writing this post I thought I might have more use for Robert Newsom’s essay 'Fear of Fictions'. But there you go, a reference of sorts. If you missed the launch of the revamped New Inquiry website last week, with the addition of writers like Evan Calder Williams, Aaron Bady, Imp Kerr and Rob Horning, do take a look. And consider subscribing, it costs very little and the first issue of the digital magazine is a thing of beauty. ‘Fix it,’ says the shop owner to Hugo, handing him a small mechanical wind-up mouse covered with felt. The boy pulls out the coil, reaches for a small screwdriver and quickly restores the small toy to its original working condition. Then he and the man watch it as it pirouettes on the desktop, occasionally standing on its hind legs as if to sniff the air. It was hand animated for hours and hours, so we could have done a totally CG mouse which would have been a piece of cake, which is what everyone would have expected, but instead we decided to make it an homage to classic technique. Of course another option would have been to design, build and operate an actual mechanical mouse, but that wouldn’t have been inventive enough, nor a ‘homage’. So the filmmakers opted to create all this work for themselves. A labour of love, but labour nonetheless. Is cinema the only industry in which taking longer than necessary to do something is viewed as a virtue? And I don’t mean in the way that taking a long time to do something can lead to making a better product. Say: a good cheese, or one of those plasticine animations that Aardman no longer bothers to make. No: the labour here has a purely fetishistic function, it is the end in itself. A CG mouse would not only have been a piece of cake, it would have also most likely looked better on the screen, while the hand animation was jarring and odd, its imperfections not matching the analogue movements of a mechanical toy, which digital animators are by now notoriously adept at reproducing. I would have much less of a problem with this if the film in question, Martin Scorsese’s Hugo, had in fact been shot using early twentieth-century techniques throughout, making the bold aesthetic choice to reclaim the craft of innovative artisans such as Georges Méliès, the film's co-protagonist, or of clock-makers like the young lead of the title. (After all mechanical timekeeping is itself a quite obsolete technology.) But this is emphatically not the case. If you’re fond of staring at green screens, you can sit through this nearly ten-minute long clip on the extensive use of digital technology to craft almost all of the film’s major sequences, and you’ll see what I mean. Now I’m not suggesting that there is no artistry in that, nor that the use of computers devalues production design compared to the pioneering times of Georges Méliès. 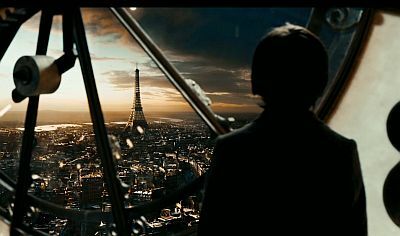 But neither do I think we can claim – as Hugo does; it’s in fact its overt thesis – that today’s cinema is the modern equivalent of the old one, just with updated technology. Méliès’ cinema was nothing like ours. It didn’t command big budgets, nor rely on a worldwide network of distribution, garner advance publicity or attract critical attention from the press. It was at once a new art form and a novelty, a thing to be experimented with, to be awed by and to scoff at. 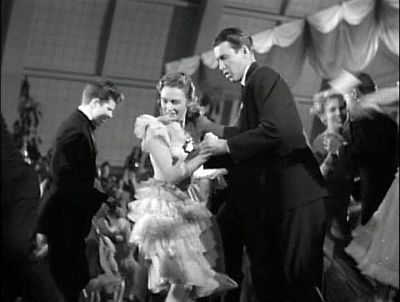 Reception is key to this difference: the famous (although possibly legendary) episode of the audience jumping out of their seats during the first screening of L'Arrivée d'un train en gare de La Ciotat is shown not once but twice in Hugo, begging the obvious retort that today’s 3D technology makes nobody jump out of theirs. 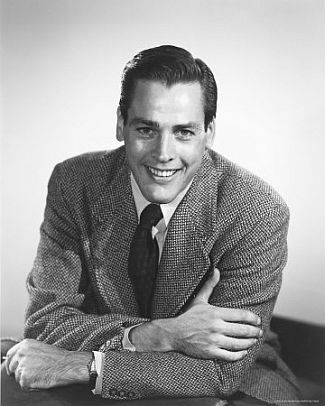 We are now wise to the trickery, and even if we weren’t, the launch of every major film is preceded by videos on YouTube and news websites, or ‘making of’ featurettes on television, illustrating how the most spectacular sequences were shot and then transformed in post-production, often down to promoting the brand of software used. This would have been anathema to Georges Méliès, who had plied his trade as an illusionist. 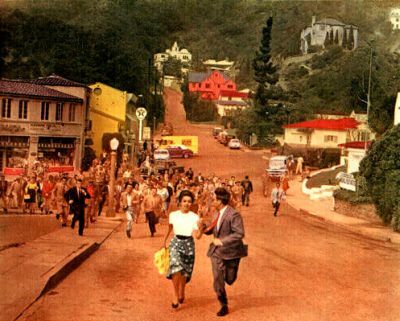 But it also exposes the peculiar obsession of contemporary cinema with demystifying itself at the same time as it seeks to persuade its audiences that they are going to witness a magic spectacle every bit as awe-inspiring and literally moving as those early films that made their naïve spectators run for their lives. 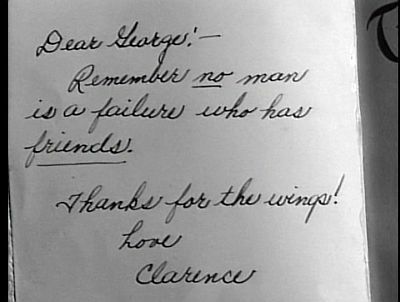 Of course there is no rewinding the mechanical clock to those pioneering years, if only because we cannot make audiences unlearn the art of watching films, and there is nothing wrong with that. It’s history. However the relationship with that history, and with the passage of time more generally, is precisely the issue with Hugo. The myth of origin created by Scorsese is blatantly dishonest: what drove Méliès out of business wasn’t the fact that WWI spoiled the taste of the public for his flights of fancy; it was the workings of the burgeoning film industry, and in particular the monopolistic practice of the rental system, to whose demands Méliès was never quite willing or able to adapt. More generally (and, one might argue, inevitably): what killed early experimental films and drove its makers out of business was the film industry that now produces the films of Martin Scorsese. That the manipulation of the father-figure of Méliès and of the record is achieved through massive industry financing and the deployment of the latest computer technologies, with the odd piece of old-fashioned bricolage thrown in to appeal to the obsessively nostalgic, is neither surprising nor new, and speaks directly to Paolo Cherchi-Usai’s indictment of digital ideology in the cinema in a book whose preface, ironically enough, was written by none other than Martin Scorsese. 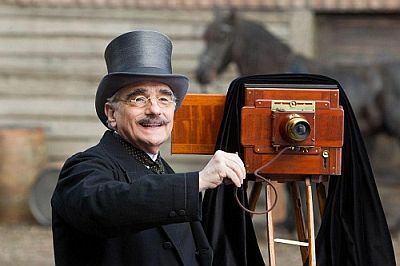 But Scorsese the passionate campaigner for film preservation doesn’t see the contradiction in making a movie in which the films of Georges Méliès are digitised, transformed to include the character played in Hugo by Helen McCrory and made tri-dimensional – as if they needed to be updated in order to be shown at all – at the same time as they are held as the thing that is authentic, the objective Real that modern cinema is founded upon and should seek to return to. Subsuming and processing the past like that, be it historical or artistic/literary, is what contemporary cinema does best through the digital (how to forget or indeed forgive that Hugo’s co-producer Johnny Depp was involved in what is without a doubt the wrongest of these films?) 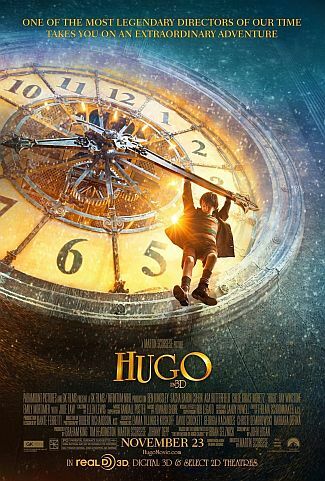 But I don’t mean to suggest that Hugo’s flaws are confined to a meta-level accessible only to the humourless critic, for one would be remiss not to note its thematic incoherence and dramatic weakness, leading to constant interruptions as the director phones to tell you what the film is about. The problem in fact is that the meta-level is what Hugo is about, which is to say that its intent is to function as propaganda. As James Cameron – who must have some sort of global contract clause requiring that he be thrust in front of a camera with the director of every new film shot in 3D – has said to Scorsese: ‘Your film is about the magic of cinema, and the movie is magical to watch’. It is important that we believe this, and that’s what those ‘making of’ shorts and shot-by-shot analyses are designed to achieve. It doesn’t matter that they give away the trick, because a filmmaker’s job no longer resembles that of the illusionist. In front of an illusionist, the audience is meant to wonder: How did they do this? In the cinema, we know how they did it: nine times out of ten, they used computers, which is very much like saying that a wizard did it. If anything, knowing the trick, understanding how a piece of illusion was crafted, might make a sequence seem more real. If you’ve ever wondered where your dreams come from, this is where they are made. This is nonsense of the highest order, and could only come from a culture intoxicated by entertainment: we don’t dream in movies. But perhaps we do need to be convinced that this cinema that treats the past like a wind-up toy, that is never about social classes, never about a history other than its own, this cinema obsessed with infantilising itself and its audiences is still relevant and interesting, somehow. For a review that focuses on the thematic/narrative aspects of the film, as well as the association between spectacle and authority, see Aaron Bady's remarkable Martin Scorsese Started the Fire: Hugo and The Bad Thing. Plus with any luck if you hated this post you might hate his as well and I might take less heat.